No Worries Cuisine is a family owned and operated catering company that serve the entire Bay Area, CA. 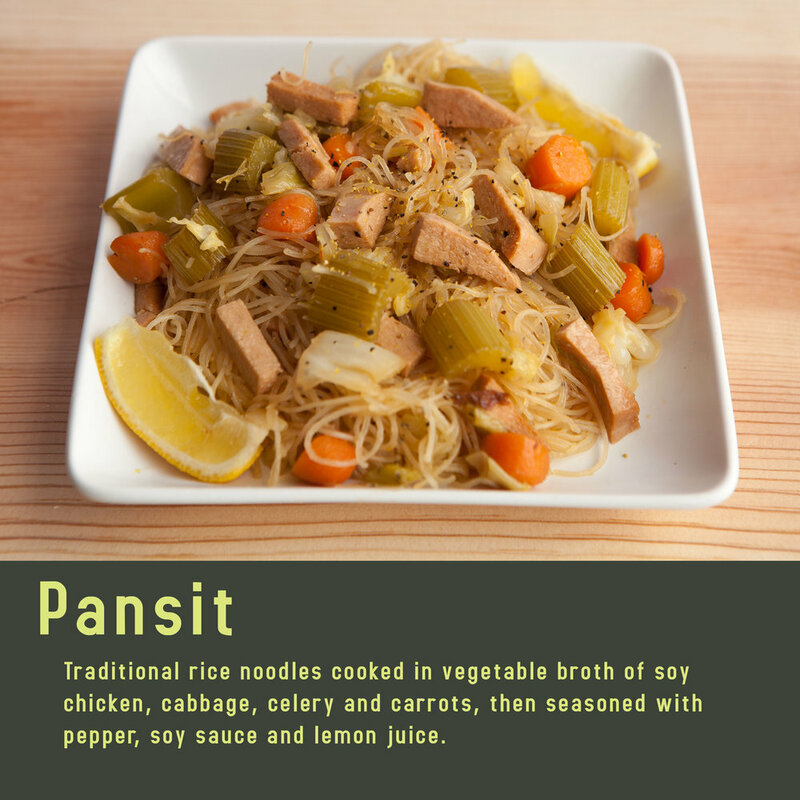 We are proud to offer authentic Filipino flavors with an entirely vegan menu. Check our availability here! Tell us about your event and let's discuss the best option for you! 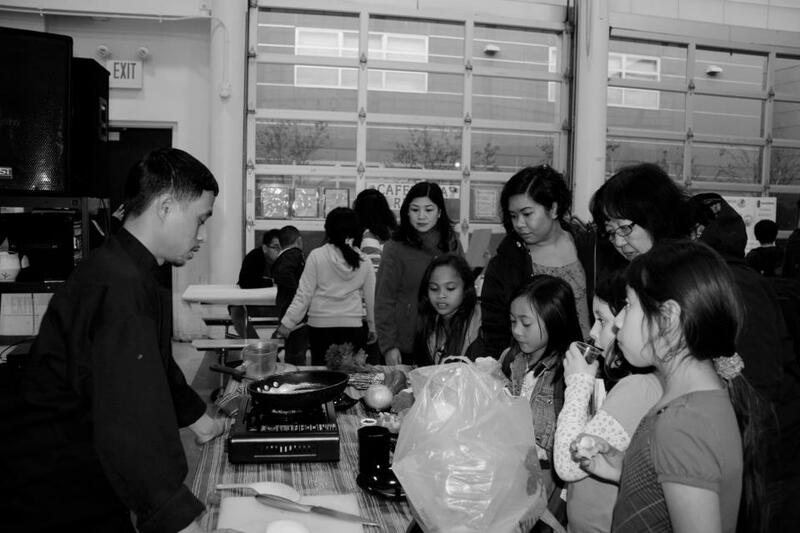 It's our pleasure to feed you and your guests our style of Filipino Vegan Cuisine! Drop-Off Catering Choose from the Catering Menu and we'll deliver catering trays to your location! We can arrange other details such as utensils, plates, napkins and/or drinks. Let us know how we can help! On-Site Catering If you need an expert on site, our Chef will put together a team to help your event go smooth and free of worries! Our team will keep your buffet table filled and clean, take care of guest needs and clean your venue at the end of the event. We'll see your party through from beginning to the end! Personal Chef Service (4 hours - shop, travel, cooking, clean up) This service allows Chef Jay-Ar to craft his cuisine in the comfort of your own kitchen. Chef Jay-Ar will shop for ingredients, bring the necessary cooking equipment and travel to your home to prepare 3 main dishes. Cooking time is approximately 1 hour and 30 minutes. This service is ideal for a family gathering or party. Food will feed about 12-15 people or can be stored away for the week. Cooking Demo (3 hours - shop, travel, demonstration) The cooking demonstration by Chef Jay-Ar is a step by step process, highlighting the techniques of Filipino vegan cooking. Chef Jay-Ar will exhibit 2 dishes, showcase protein substitutes, as well as discuss spices and ingredient alternatives. For the presentation, Chef Jay-Ar and his team will bring a projector and screen (unless provided by the facility), plus a video camera to give the audience a live perspective into the pot/pan. The demonstration does not provide food for the audience unless ordered from the Catering Menu. Heat & Eat Weekly Meals This service is perfect if you want to save time and energy! 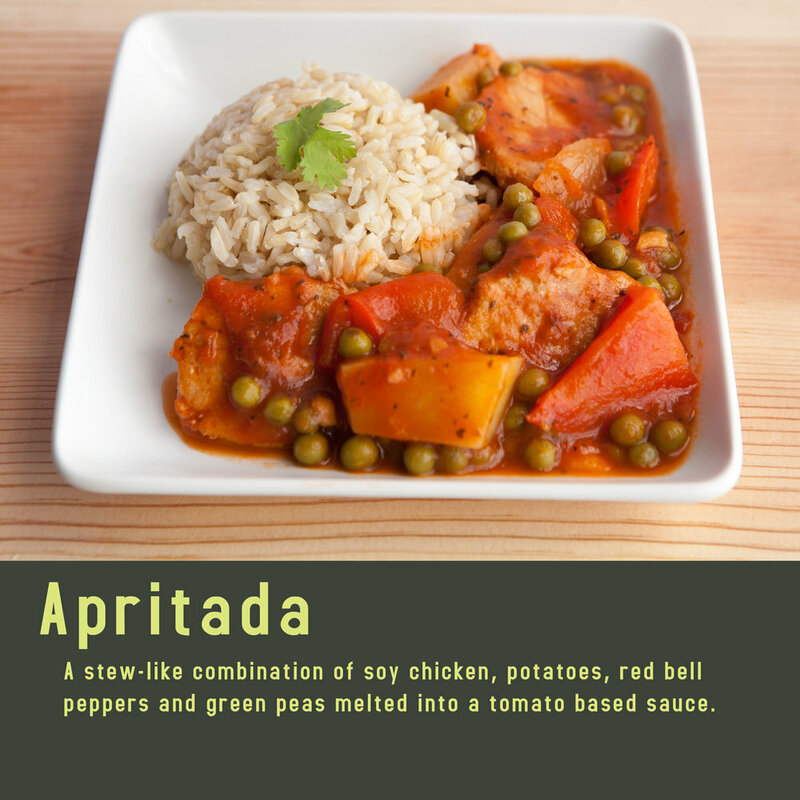 Order online from our Heat & Eat Menu by Friday 5pm to receive your meals on Monday! Pick up or delivery service available! Mung beans boiled in broth then combined with sautéed kabocha squash, string beans and cauliflower. No Worries started off as a business proposal project in 1998 at Oakland High School. After being awarded with a small grant to fund basic cooking equipment, plus having a solid foundation to the newly found cooking technique, No Worries made its way from small family gatherings to large events and received high praises from its customers. 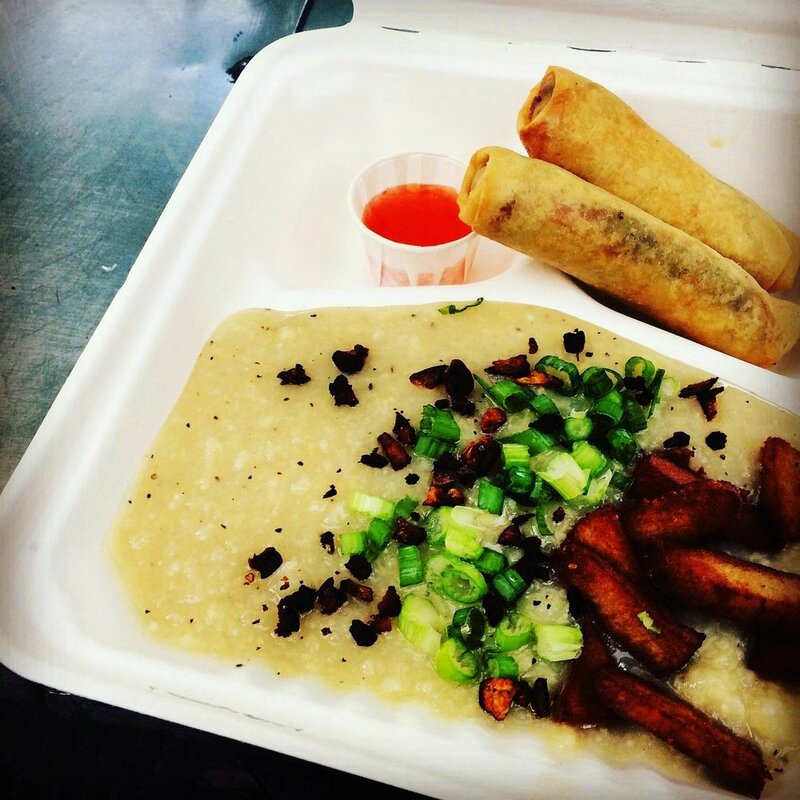 No Worries has consistently provided Filipino vegan food like no other, because there is no other! No Worries is committed to minimizing its impact on the environment by fully supporting the vegan diet. Since a meatless diet can have tremendous benefits on the environment by lessening the use of natural resources to raise animals, No Worries intends to give light to the possibility of a more conscientious eating habit by providing healthy and delicious vegan food for people to enjoy. Traditional recipes are used only as a guideline for the innovative chef of No Worries. Jay-Ar Isagani Pugao, a 20 year culinary extraordinaire of Filipino vegan food, took his mother’s original cooking methods and has taken it a step further. Instead of using meat for a predominantly meat based food culture, he focuses on the foundation of flavors: the sauces. Chef Jay-Ar uses an array of substitutes, ranging from soy protein to wheat gluten to tofu and seitan. However, he loves to balance his dishes with colorful, fresh vegetables which bring life to the plate. Chef Jay-Ar Isagani has been a pioneer in Filipino vegan cuisine and continues to innovate many traditional appetizers, desserts and entrees into vegan cuisine with origins from the Philippines.